Good Samaritan Medical Center was proud to partner with the Psi Iota Omega chapter of Alpha Kappa Alpha Sorority, Inc. (AKA), The American Heart Association and Westgate Mall in an event to raise awareness for Women's Heart Health. 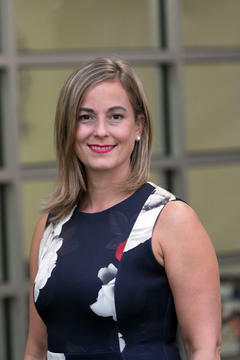 The five-hour free event in honor of The American Heart Association's Go Red Campaign, featured educational talks, "Walk with a Doc", blood pressure screenings, demonstrations, and giveaways. 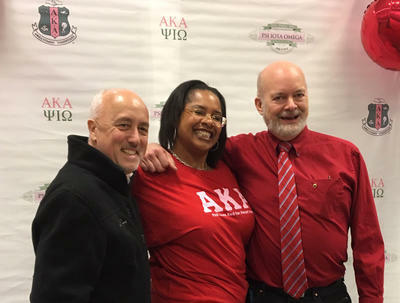 Brockton Mayor Bill Carpenter attended the event and is pictured with the President of Psi Iota Omega chapter of Alpha Kappa Alpha Sorority, Kimberly E. Zouzoua, and David Mudd, MD, a Steward Medical Group primary care physician who led the “Walk with a Doc” portion of the event.